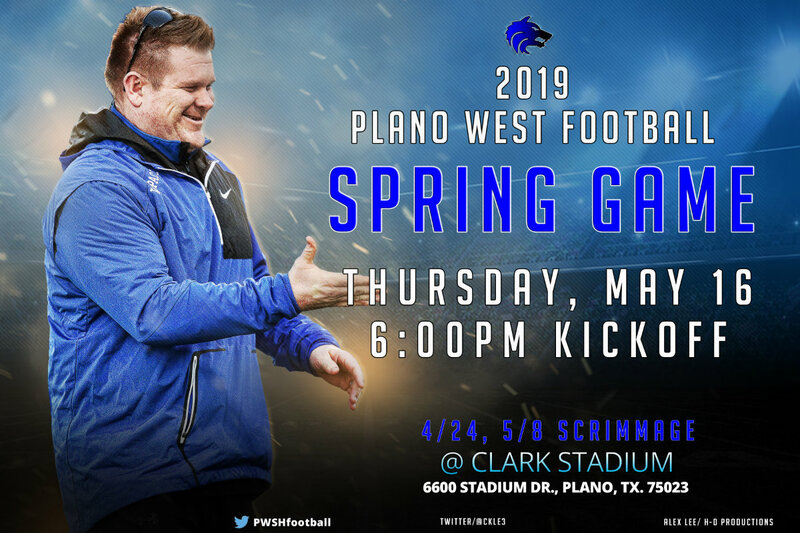 There will be a Parent's meeting on Spring Football on April 10th at 6:30 PM in the Presentation Room at Plano West. More details will follow. Spring football kicks off on April 15th! Watch for more details on the website and mobile app. GO WOLFPACK! Two years, one month and 22 days after the Plano West football team won its last game – a 38-21 decision over McKinney on Sept. 22, 2016 – head coach Scott Smith resigned his post at the helm of the program. On the 100th day after Smith stepped away, the keys to the ailing program were handed over to a man who’s ready to meet the challenge of righting the ship head on. Tyler Soukup, who served as Hebron's offensive coordinator last season, was appointed the new head football coach and athletic director for Plano West Senior High School at Tuesday's Plano ISD school board meeting. Soukup will replace former athletic director and head football coach Scott Smith, who accepted a new position within the district in November after a second consecutive 0-10 campaign for the Wolves. With Star Local Media's high school football coverage having concluded for the 2018 season, the sports staff looks ahead to the offseason and some noteworthy storylines for several schools in the Metroplex. There’s never a dull moment when it comes to Plano ISD athletics, and the 2018 football season was no different. For the second straight year, the city’s playoff hopes went down to the final night of the regular season, as Plano East celebrated its return to prominence with a postseason berth. City rival Plano Senior had a playoff return cut short in a dramatic finale against Prosper, while Plano West took its lumps for another year in a second consecutive 0-10 campaign. For the second straight year, the Plano West football program ended the season without a tally in the win column. The team’s losing streak, which began the week after a 38-21 win over McKinney on Sept. 22, 2016, was extended to 26 games by a 63-7 defeat at Allen’s Eagle Stadium Nov. 8. The prolonged rut resulted in former head coach Scott Smith leaving the program to accept a new position with Plano ISD, leaving a vacancy that will need to be filled prior to the 2019 campaign. Plano West head football coach Scott Smith, who took over the program prior to the 2015 season, will be accepting a new position within Plano ISD, PISD Athletic Director Gerald Brence confirmed Monday. With the festivities of Senior Night in the air, coupled with a shot at regular-season perfection, the Allen football team made sure everyone had a hand in the coda to the program’s sixth straight 10-0 campaign. In a week where tiebreakers and point differentials typically reign supreme, the stakes are about as clear as could be for the Plano Senior and Plano East football teams. A win Friday by either, and there will be playoff football for Plano ISD. In a special ceremony tonight between quarters at the Plano West Homecoming game, Honda and Dave Campbell’s Football recognized a long time Plano West football dad for his 15 years of service to Plano West Athletics. Over 650 nominations were received in the state of Texas, and Tom was selected as one of 15 to be honored this year. Senior running back Noah Scroggins broke loose for 60 yards on the first drive of the game, and it appeared that the Plano West football team was off and running both figuratively and literally in its Homecoming matchup with rival Plano East. On a visit to the University of Missouri last weekend, Plano West senior defensive end Shemar Pearl gave Mizzou head coach Barry Odom the news he wanted to hear. Pearl, a three-star recruit at defensive end, was ready to commit to the Tigers. It’s an easy accolade to overlook for a program whose sights are annually set on a state championship, but Allen has never been one to diminish the value of a district title. This week, for the 13th consecutive year, Allen has a chance to secure that very accolade when they welcome Prosper. The 9-6A playoff picture isn’t lacking for congestion entering the back half of the district schedule. Despite boasting the state’s No. 1-ranked team in Allen, there’s plenty of excitement below with as many as six teams in position to vie for the remaining three playoff spots. That includes a four-way tie for third place between Plano East, Plano Senior, McKinney Boyd and McKinney. As the dust begins to settle in the coming weeks, here’s a look at how 9-6A stacks up past the midpoint. There are no rest stops during Plano Senior’s homestretch, but the Wildcats can take pause in entering the most crucial phase of its season fresh off its most complete performance of the year. Although Friday’s 41-19 victory over rival Plano East kept Plano’s playoff hopes intact, head coach Jaydon McCullough’s bigger takeaway was the potential long-term significance of that performance. 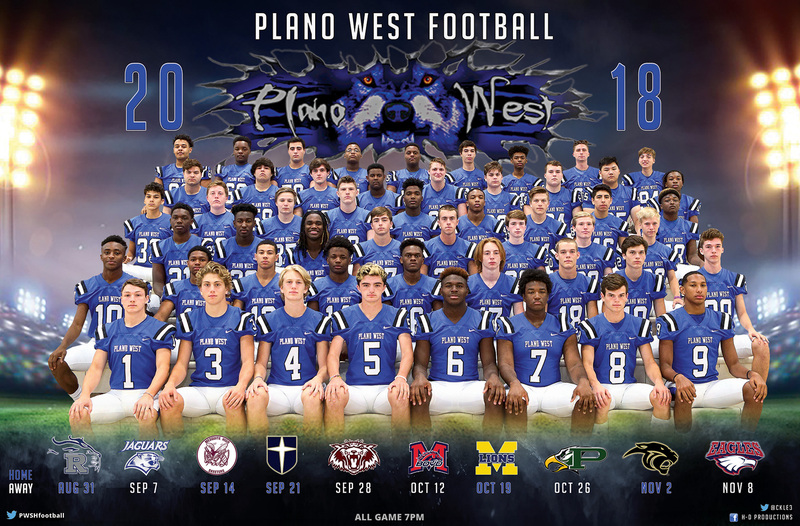 Copyright © 2010- Plano West Football and its licensors. All rights reserved.